Jalandhar: The status of Association of Indian Universities’ (AIU’s) North Zone Inter University Chess Tournament-2013, being organised at LPU, has now been elevated. The championship is witnessing extra ordinary playing skills of 24 FIDE (World Chess Federation) rated players along with others. 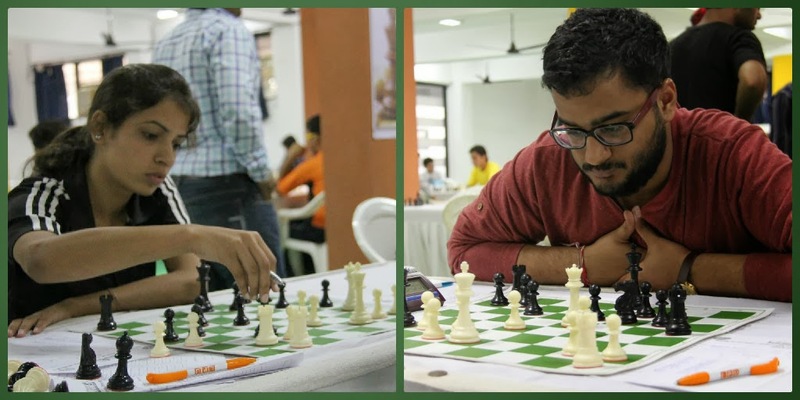 Rated in accordance to international ELO rating system, these players from different universities are trying tough to excel their competitors. As such the finale, the 5th round of the tournament, is going to establish notable zonal Chess-skills’ supremacy at LPU Chess Hall, on 25th September. FIDE rated six players are from University of Delhi (DU); five each are from Panjab University Chandigarh (PUC) and GNDU Amritsar; three from Punjab Technical University Jalandhar (PTU); two from Kurukshetra University (KUK); and, one each from Punjabi University Patiala (PUP), Chaudhary Charan Singh University (CCSU) Meerut and host LPU. Top rated player from PUC is Himal Gusain with rating of 2314, from DU Ritwan Sauntra 2075, from PTU Akshay Anand 1828, from GNDU Amandeep Singh 1718, from PUP Sukhjit Singh 1698, from CCSU Anshul Bathla 1649, from KUK Sahil Dhawan 1590 and Jeeru Yaswanth from LPU is with rating of 1544. The player with highest rating is considered to be tough to win over. AIU’s observer for the Championship, Dr GS Ruhal seemed very satisfied with the arrangements made at LPU. He also expressed that LPU has good infrastructure for even organizing Inter Zonal Chess Championship. He also applauded the arbiters’ role during different matches held. Illustrative, the ELO rating system is a method for calculating relative skill levels of players in competitor-versus-competitor games such as chess. This system is named after its creator Arpad Elo, a Hungarian-born American physics professor. National Arbiter Mr Dinesh Gera informed that the teams leading with full points are University of Delhi and Panjab University with 7 Match Points each. Trailing them are LPU Phagwara, Punjabi University Patiala, Kumaun University Nanital and GNDU Amritsar, with 6 points each. Himachal Pradesh University Shimla, DCRUST Murthal and PTU Jalandhar are with 5 points each. Jammu University J & K, Kurukshetra University, HNB Garhwal University and CCSU Meerut have amassed 4 points each. Lucknow University is with 3 points. University of Delhi and Panjab University Chandigarh tied with 2-2; Punjab Technical University and GNDU Amritsar also tied with 2-2; Punjabi University Patiala defeated Himachal Pardesh University by 4- 0; Kumaun University Nainital subdued Jammu University by 3.5-0.5; Lovely Professional University bested Lucknow University by 3.5-0.5; DCRUST, Murthal beat CDLU Sirsa by 3.5-0.5; Kurukshetra University routed Islamic University,Kashmir by 4–0; CCS University of Meerut remained ahead from Dev Sanskriti Vishwavidyalaya by 3.5-0.5; HNB Garhwal University defeated DRML Avadh University by 3-1. Music is one of the greatest thing in life which help us to motivate the hearing and getting enjoyment. Thanks for sharing this with me. Look here for online custom essay services which is one of the excellent service for students of colleges. Thanks for sharing this story. lovely professional university is one of the top univ in India. but I belong far from the place, i would request u guys to have campus throughout India. Very Good University. I like your work. Love Status in Hindi: Hii Friends whatsapp status Today I am going to share with you a Best Hindi love Status for Whatsapp. These Love status are Hurts touch status for girlfriends and boyfriends.best whatsapp statusThese status are written is hindi and english language. Now every one want the best love heart touch status for her or for him.love status for whatsapp So that why I am publishing a these collection of love whatsapp status in Hindi. kerala lottery to one,retaining the six bumper lotteries per year. free job alertUpcoming Govt Jobs 2016-2017 in SSC/ State PSC/ IT Public Sector/ Banking – IBPS, SBI), Private Company by States in India FreeJobAlertsi.in website. UPSC INFO is an online Informative platform upscinfo.in which simplifies the query of all the Civil Service Aspirants. upscinfo. with Civil service examination. The information on UPSC INFO is collected from various reports and News. It is reliable to change without any prior notice. here i have collected some Free netflix account 2016 to watch these show for free !! با خرید بکلینک شما گام بلندی به سمت صفحه اول گوگل بر می دارید. تقریبا بدون داشتن پشتوانه مناسب بعید است که سایتی بتواند رتبه ای مناسب در گوگل بدست آورد.در حقیقت هر سایتی که به شما بکلینک می دهد یعنی شما را تایید کرده و از اعتبار خودش به شما لینک داده فلذا هر چه این تایید ها بیشتر باشد اعتبار سایت ما بالاتر و بیشتر خواهد بود.البته دو نکته در مهم است :1- کلمه کلیدی مد نظر باید انکر تکس شده باشد. who don’t want to play Pokémon Go by truly going. This is educational and accommodating post. Extraordinary endeavors made here to share this post. Keep the endeavors up. A debt of gratitude is in order for sharing this post. This is an excellent and super post. It is really extraordinary and much informative post you have shared here. Very interesting to read and much helpful article. Keep posting in future as well. Thanks for sharing such a great post.